Okay, so it’s hardly news around here that I recently purchased a used car. I’ve made it pretty clear that I’m on the side that thinks that having more cars than drivers in a household is utterly ridiculous — yet, we have four cars and only two drivers. The main reason that we didn’t trade a vehicle in while purchasing the latest is because we feel that all of our cars are still worth more to us than we’d received in exchange for any one of them. All of our cars are paid for so the only expense involved in keeping them all are the insurance costs and the registration renewals — relatively small stuff. All four vehicles are also pretty unique and serve a unique purpose as well. I think I’ve said it before — it’s not like we have four Honda Accords in the driveway. That would be truly ridiculous. The 2-seat BMW convertible is a fun summertime weekend car. I bought it at a time when it was more practical. It’s not so practical now (with a family of four in a few weeks or so) but it’s worth more to me — and will always be worth more to me — than what I could sell it for. The 2-seat Toyota pick-up truck came as part of the package when I married my wife. Same deal — a two seater isn’t really practical for a family but I can’t tell you how many times I’ve thanked my lucky stars that we have a pick-up truck. 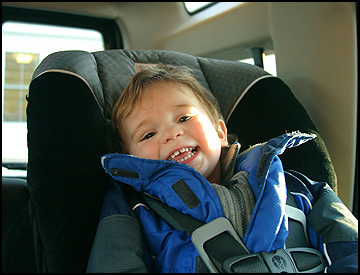 The Scion xA, while compact, can actually fit two adults and two car seats. We can even squeeze a stroller into the trunk. Best of all, it gets over 40 miles per gallon for us. The Land Rover, as it’s set up now, can fit three adults, two car seats, a stroller, and a whole host of other things. It’ll be our road trip vehicle — and ensure that if one person is home with the kids, well, we’ll have at least one vehicle in the driveway can fit them all at any given moment. That’s the low down on our fleet. We wanted to be able to pay cash which, naturally, reduced the number of options available to us. At the high end, the price tag had to come in around $10k. I wanted low mileage on a car that has a reputation for going well beyond the 100k mile mark. This narrowed the field even more. And lastly, it couldn’t be a gross used car. Once you dip under a certain price level, well, things tend to get a little messy. I was looking for a diamond in the rough. Initially I had it narrowed down, in descending order of price, to a 2006 Honda Odyssey with 80k miles, a 2004 Land Rover Discovery with 50k miles, and a 2006 BMW X5 with 70k miles. 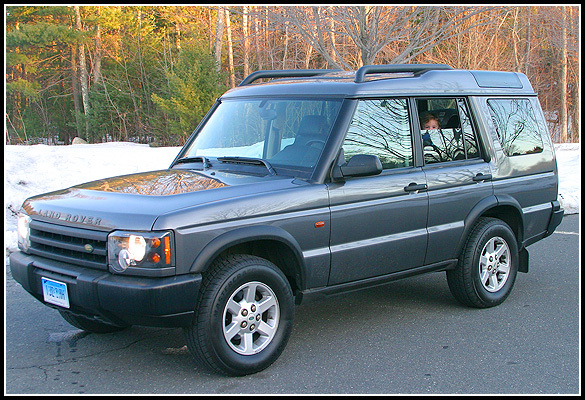 At the end of the day, I settled on the Land Rover Discovery because it won out on mileage and size. The price was in the middle — the Honda was actually the most expensive and the BMW was the least expensive. The condition was in the middle as well — it’s exterior has a few dings here and there but it just looks “right” on this type of vehicle. The interior is immaculate — previous owner obviously didn’t have young children. Same couldn’t be said for the Honda. The BMW, well, it was nice but it just wasn’t big enough. And I didn’t like the colour. Okay, yeah, I admit, colour mattered too. The final pricetag was just shy of $11k — before tax, registration, and all of that other nickel-and-dime junk that gets added on the back end. Perhaps, but there are still an awful lot more of them on the road pushing the 200k mile marker. I don’t think the same can be said for your run of the mill minivan. If it does last even just 50k more miles, though, it’ll have been one of my better moves. To pay for it, I took a bunch from savings, a bunch from checking, and essentially the entirety of our tax return refund to the point that we were able to pay cash for the car. No lienholder. No car payments. In addition, though, since that pretty much tapped me out financially, I wrote one of those credit card checks to myself for $7000 just to cover this month’s expected expenses and any unexpected expenses as well. It was a zero percent offer that’s valid through Decemeber — and there wasn’t a transaction fee! When was the last time you saw an offer without a fee attached? Woo-hoo! To pay it back down, though I could technically just send the money right back, I’ve set up an autopayment of $175 per week. On that schedule (which kicked in yesterday), it’ll be paid in full before any finance charges accrue and I won’t be backed unto a shoestring budget at any time. Now I just have to cross my fingers that there aren’t any super costly repairs between now and then. Stereotypes in the Parking Lot… And Christopher Lowell too!